B 1983 Roger H. Pogson; 2-2/3 and 1-1/3 added 2001 Tom Way. 2m, 9spst, 3c, tr. Gt: 8.4.2-2/3.2.III. Sw: 8.4.2.1-1/3.II. Ped: 16. In 1877, an acre of land was purchased on King William Road. On 24 May 1880 the foundation stone of Unley Wesleyan Methodist Church was laid, opening January 1881. This became the spiritual home for James Broad and his family. Broad was a successful business man and, from a young age, Wesleyan lay preacher connected with Pirie Street. 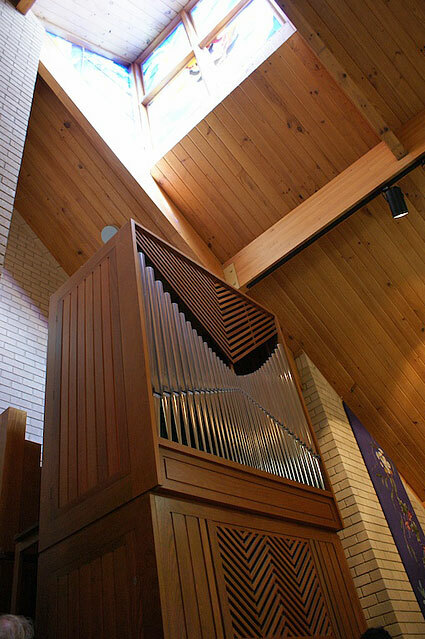 His eldest son was taken into partnership sharing his father’s love for music and having pretensions of being an organ builder.3 Prominent in the church, neither father nor son could convince the church authorities to purchase a pipe organ for the new building. The trustees had financial priorities in other directions. Various memorials to the Broads can still be seen in the new church. 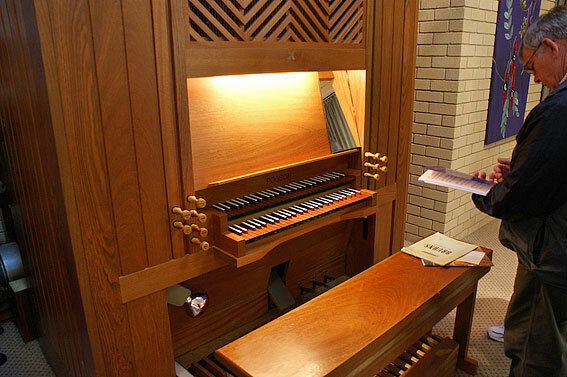 Things did improve, however, and a pipe organ eventuated. 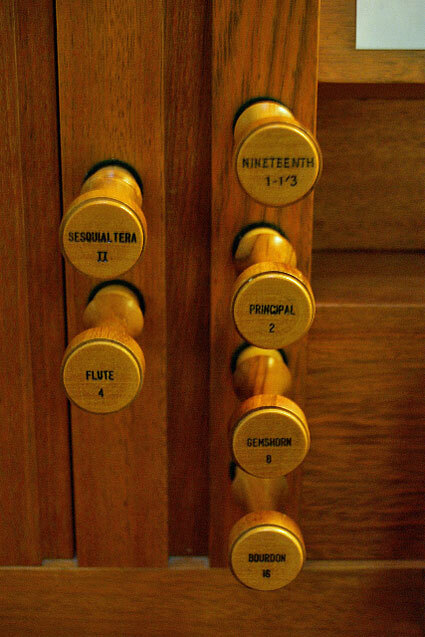 Further research is needed to determine the builder of the organ finally placed in the church in 1902. This instrument served until 1926 when it was sold to make way for a new one. It went to Holy Trinity on North Terrace and became the nucleus of the Grenfell Memorial organ in that church. The new instrument was provided by William Leopold Roberts and remained in the building till sold to private possession in 1982. In 1976, changing circumstances had led to a rationalisation of properties and the King William Road church and Roberts organ was sold. The congregation moved to the Parkin-Wesley Theological College campus worshipping in Lade Hall until Christ Church was completed and dedicated on 17 April 1983. 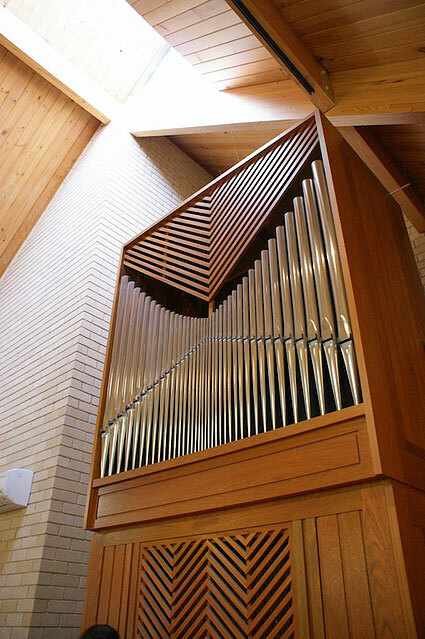 The architect for the new building was Colin Norton, of Brown Falconer Pty Ltd. With the new church came a new organ built by Roger Pogson in 1983. 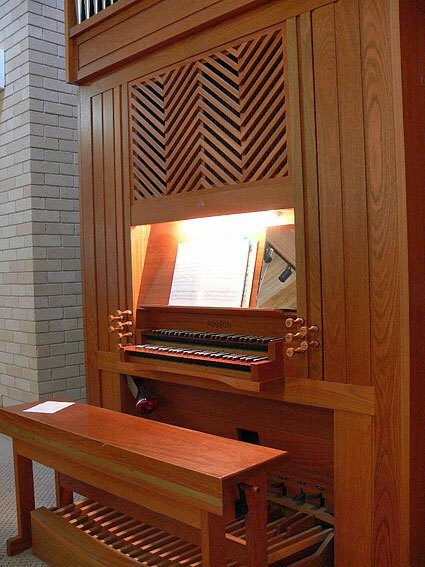 This was the first instrument to come from the firm’s new manufactory in Orange, New South Wales. The casework has pipe shades with diagonal motifs deriving from the angular roof structure and has been constructed from Brazilian myrtle. The keyboards are capped in Tasmanian myrtle. The Spitzgedeckt 2-2/3 and Nineteenth have been added later on original spare slides. 3 For the work of J.J. Broad see also sections on Kapunda and connections to Rendall and Mackenzie. 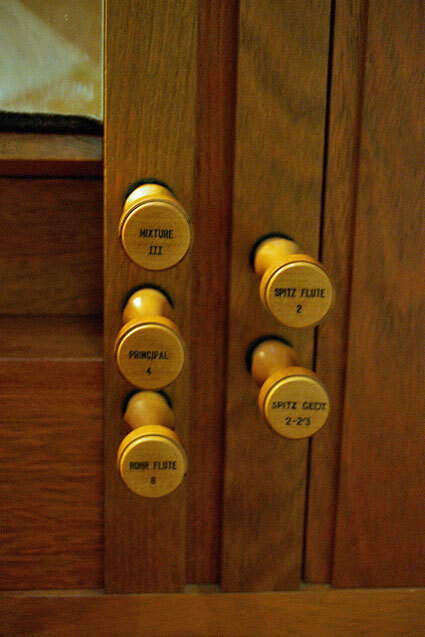 His brother Edwin became a telegraphist and was a competent organist. 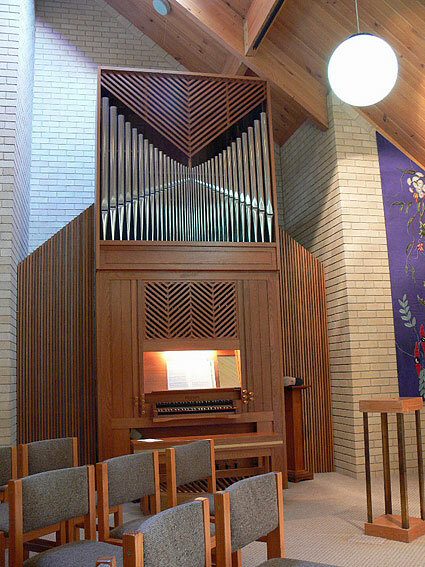 Alfred, the artist, may have decorated the pipework of the organ at Christ Church Kapunda, the Moonta Mines Uniting (formerly Methodist) Church and the Moonta Anglican Church.